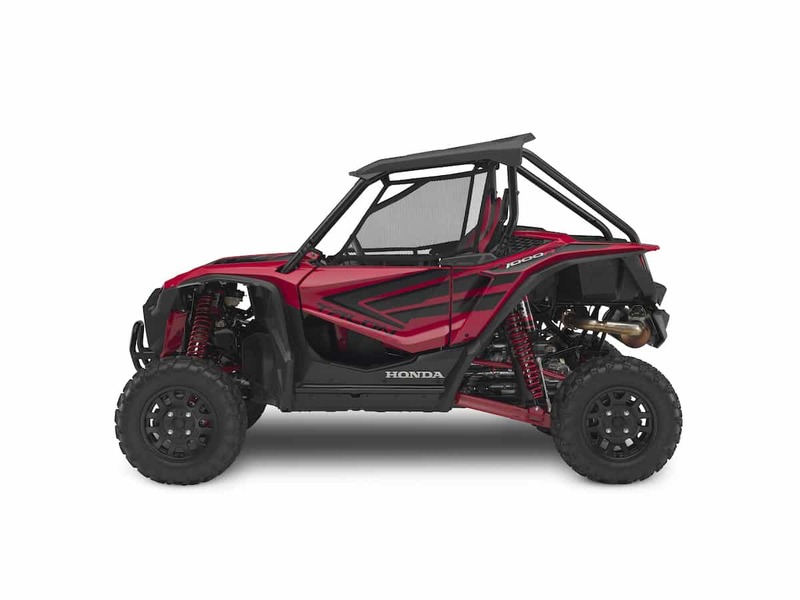 Honda’s Talon high performance UTV was the most anticipated new arrival since the YXZ. Like its predecessor it didn’t disappoint. We are still discovering elements of this machine that excite and impress us everyday. Here are 5 features of the Honda Talon that none of it’s competition has. 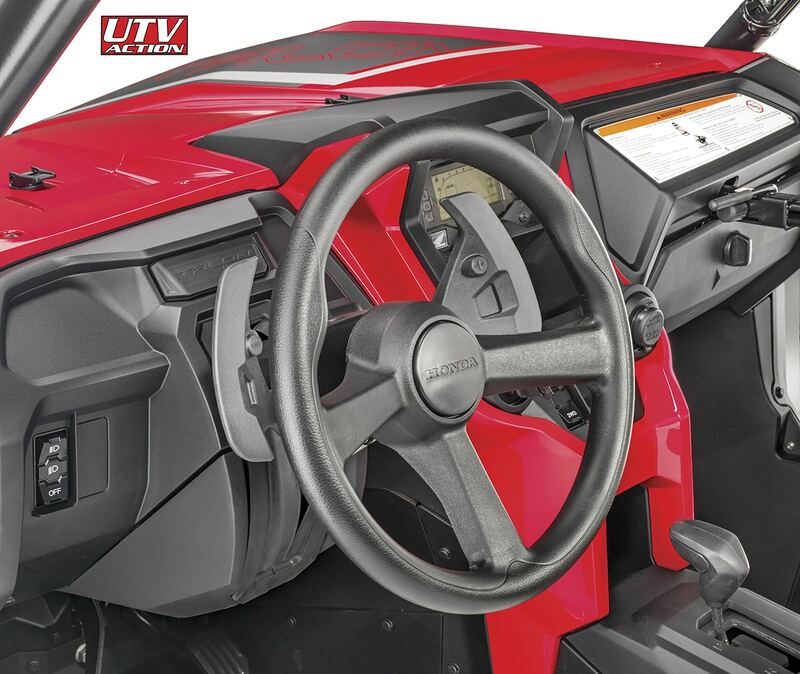 The Honda Talon i4WD system is the same one that is used on the Pioneer 1000 LE. This is of course found on the Limited Edition Pioneer 1000’s, but no other high performance UTV has a repurposed Antilock brake controller. What it does is basically keeps the car from being really loose during cornering by applying brake pressure and settling the car down. You really don’t feel is working but if you hop between cars that have and ones that don’t, you notice a big difference. In 2WD, the feature also helps woe the car down under braking putting pressure to the tires that are gripping the most. 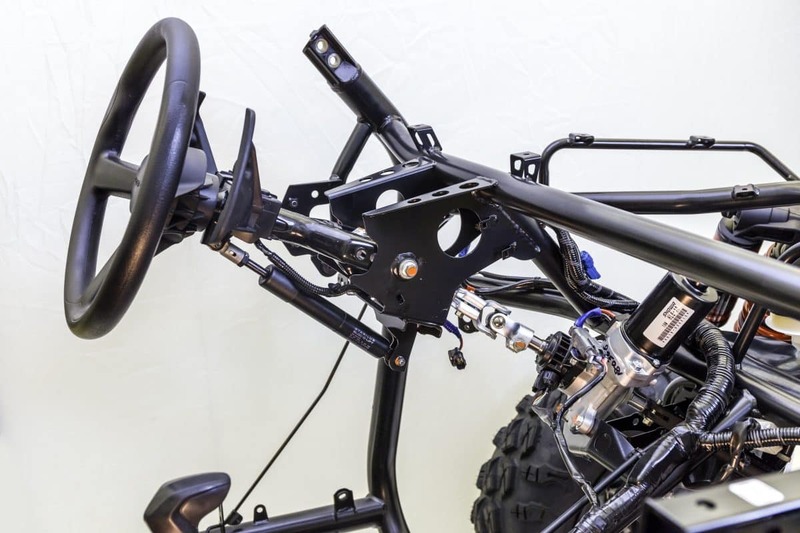 Taking cues from their automotive side, the Talon has a small section in the steering column near the EPS unit that will slide and collapse into itself incase of a hard front end impact. Not only will it save injury to the driver, it will probably prevent a severe shock load from hitting the EPS unit and destroying it. The paddles shifters on the Honda Talon are cool but the auto mode works better in most situations. It’s no secret that we love the paddle shifter on the Yamaha YXZ1000r, but having the ability to also run the Talon in Auto mode too opens up the car to a lot more drivers. Furthermore, we think Honda’s tuning on the auto portion works better than most humans can shift in many situations. Yamaha could adapt this technology to the YXZ1000 with some computer programming and we expect they will. The Honda Talon Cup Holders are huge and carry bottles and cans big or small. The Talon is the only UTV with cupholders large enough to hold up to a 32 oz Pelican Tumblers and smaller 16 oz water bottles all securely without rattling out when you go down the trail. The rubber flaps help keep any sized container in tight for most rides. 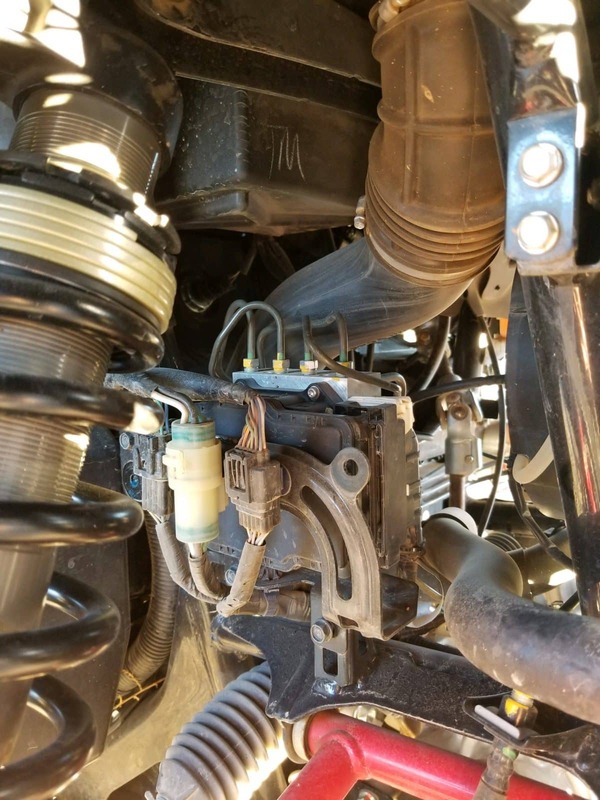 Keeping the battery and electrical fuses out of the elements is a nice touch for an off road vehicle. The location of the battery in the Talon behind the drivers left shoulder was not an afterthought. 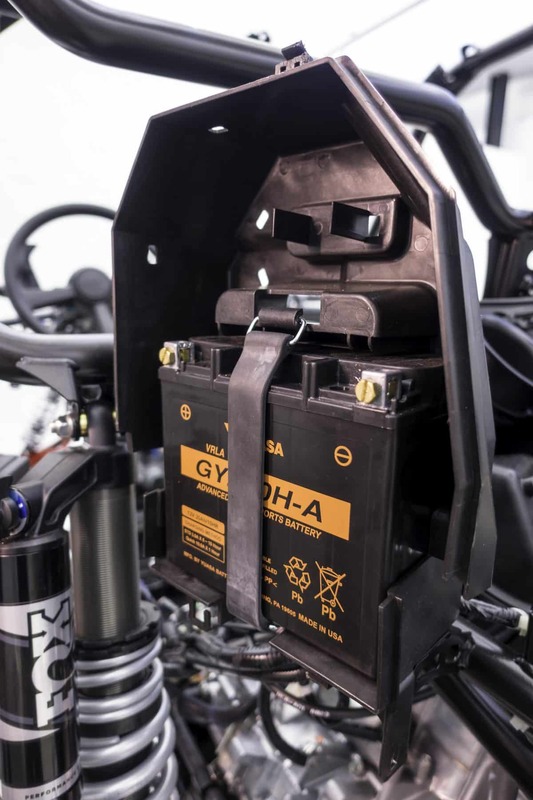 Keeping the battery and major electrical components high and dry was with safety and durability in mind. Furthermore its the easiest to access battery we have seen incase you need to service the battery or perform a jump start. Window Nets. 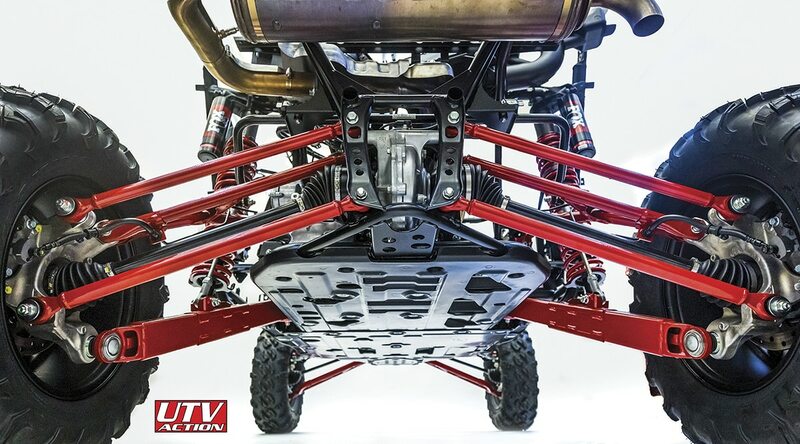 This is the first High Performance UTV to come with wind nets standard. In the Talon, they are easy to attach and remove making getting in and out of the car hassle free. 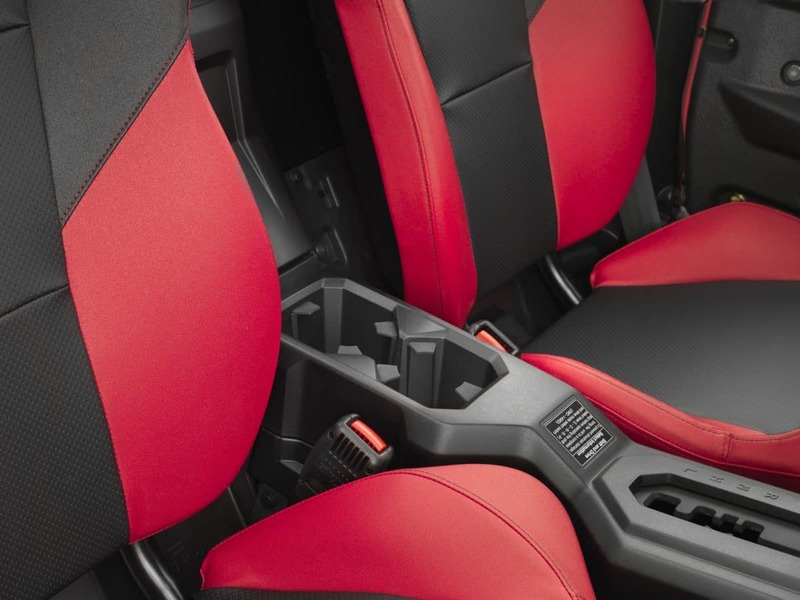 The 2019 Honda Talon comes with standard window nets. Here are 10 things Hondas Specs don’t tell you about the 2019 Honda Talon line up.